Part of the brightening range, a luminous eye serum for normal or combination skin made with 98% naturally derived ingredients. 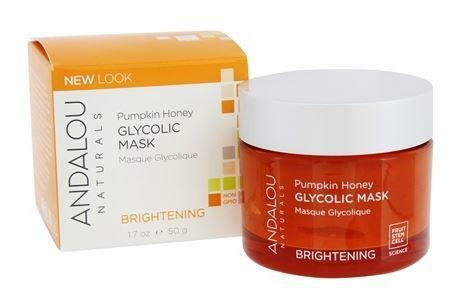 Andalou Luminous Eye Serum has fruit stem cell complex, vitamin C, and goji glycopeptides that enzymatically support your dermal vitality for a lighter, tighter, brighter looking appearance. Caffeine from green coffee uplifts circulation for youthful luminosity. 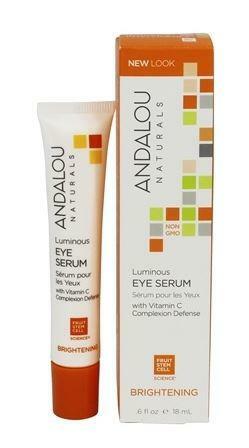 How to use Andalou Luminous Eye Serum; AM & PM. Apply to clean skin. Gently squeeze tube to dispense serum, glide from under eye toward outer corner and across the brow bone.